Power (kw) 7.5 to 60 H.P. Leveraging on our intelligent professionals, we are presenting a wide assortment of Mustard Oil Expeller. Mustard Oil Expeller is manufactured using the best quality steel and components to ensure the optimum functionality. Offered expeller is best known for its usage of extracting oil from the seeds and it caters the diversified demands of our valuable clients. 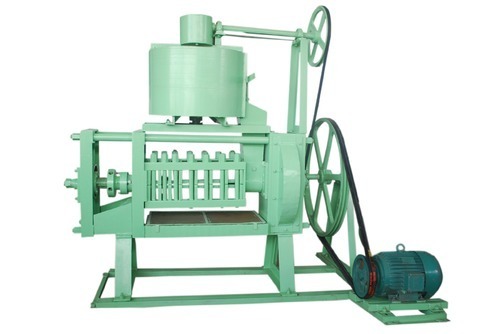 The provided machine is made available in eight different models. Leveraging on the huge knowledge, we, Kamdhenu Expeller Industries, established in the year 1991, have been able to develop as a well-known name in the industry for Manufacturer and Trader of Oil Expellers, Filter Press Machine, Baby Boiler, Dal Mill Machine, Sugarcane Crusher and many more. Keeping in mind the rising demands of the industry, we have come up with a broad range that is in-line with the expectations of the clients. Our variety is manufactured using high quality stainless steel to ensure corrosion resistance, long lasting. The stainless steel used for manufacturing is procured from the trusted vendors after assuring its standards. Quality assurance is a crucial part of our procedure. Our diligent professionals go out of their way to make sure the high standards of our variety. With clients as the center of all our operations, we untiringly work to gratify their demands.